Warning: This film isn't for the faint hearted, as it's a rollercoaster ride of cut-up graffiti, dereliction and Soviet jazz breakbeats! 'State Owned' By UltraBreaks Productions from ::::Vj Ultra:::: on Vimeo. 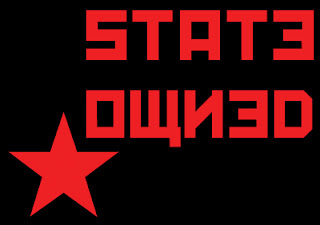 State Owned by UltraBreaks is licensed under a Creative Commons Attribution-Non-Commercial-Share Alike 2.0 UK: England & Wales License. Based on a work at ultrabreaks.blogspot.com. Permissions beyond the scope of this license may be available at http://ultrabreaks.blogspot.com. That's an incredible piece of work!